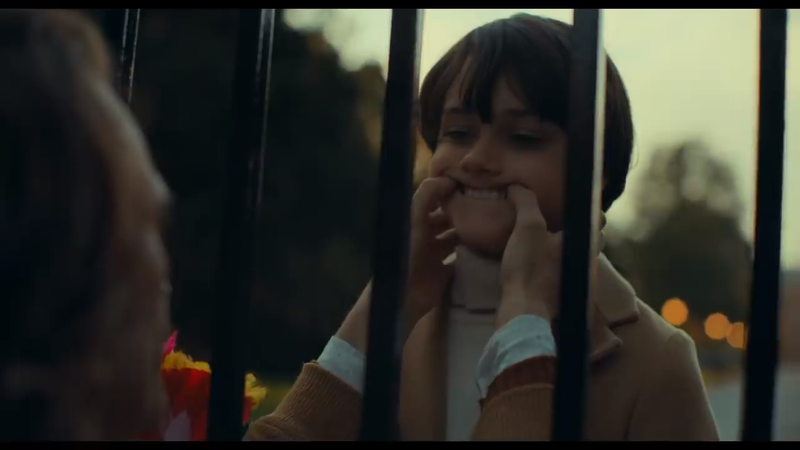 Did You Spot Young Bruce Wayne In The Joker Trailer? I know I’m not alone when I say that today’s Joker trailer absolutely crushed it. It’s seriously cool that the superhero genre has room for colossal cosmic battles that shape the face of reality in Avengers: Endgame as well as the smaller scale character study that Joker appears to be. Admittedly, this take on the character looks different from anything we’ve seen before, with the grounded setting and lack of Batman indicating that the film is breaking new territory. But, what if the trailer secretly revealed the Dark Knight after all? There’s one scene in there with the Clown Prince of Crime reaching through a gate of some sort to force a young boy’s mouth into a grin. We already know that Thomas Wayne plays a role (probably the main antagonist) in the movie (and we can see him in the preview), and the actor glimpsed in the screenshot below is Dante Pereira-Olson, who IMDb says is playing Young Bruce Wayne. True, IMDb can be edited by anyone, but again, it’s already confirmed that Thomas is in the film so there’s a good chance that Bruce is, too. So, what could this all mean for the movie? Well, my prediction is that as all the best Batman/Joker stories are about the characters being two sides of the same coin, we’ll see Phoenix’s Clown Prince causing the creation of the Dark Knight. Given that we witness Mr. J’s mother alone in the trailer, I reckon that Thomas Wayne either consciously or inadvertently caused the death of Joker’s father. He’ll likely get his revenge in the movie, but this act may go on to cause the young Bruce to conclude that criminals are a cowardly, superstitious bunch and…you know the rest. In any case, if Joker is as great as its trailer, I kinda hope we see a similarly grounded sequel a couple of years down the line that pits an older Phoenix against a young Batman, which could be something truly special if they do that film from the iconic villain’s perspective.